Meghan Trainor is an artist whose practice is informed by the utopian vision that lady healers have hidden centuries of technology away from public view and that we currently sit on an army of robot battle witches. Her work has been shown and performed at spaces and events including the Flux Factory, New York; Ask the Robot, New York; The Disseney Hub, Barcelona; The Esther M. Klein Art Gallery, Philadelphia; and The Alice, Seattle. Recently she wrote the Familiar Algorhythm for the Bridge Productions box set SIGIL and her spoken word piece Robot Philter was commissioned by the Hedreen Gallery at Seattle University. Trainor is currently working on Sphagnan, a collaborative performance series, with Sarah Lypstk. 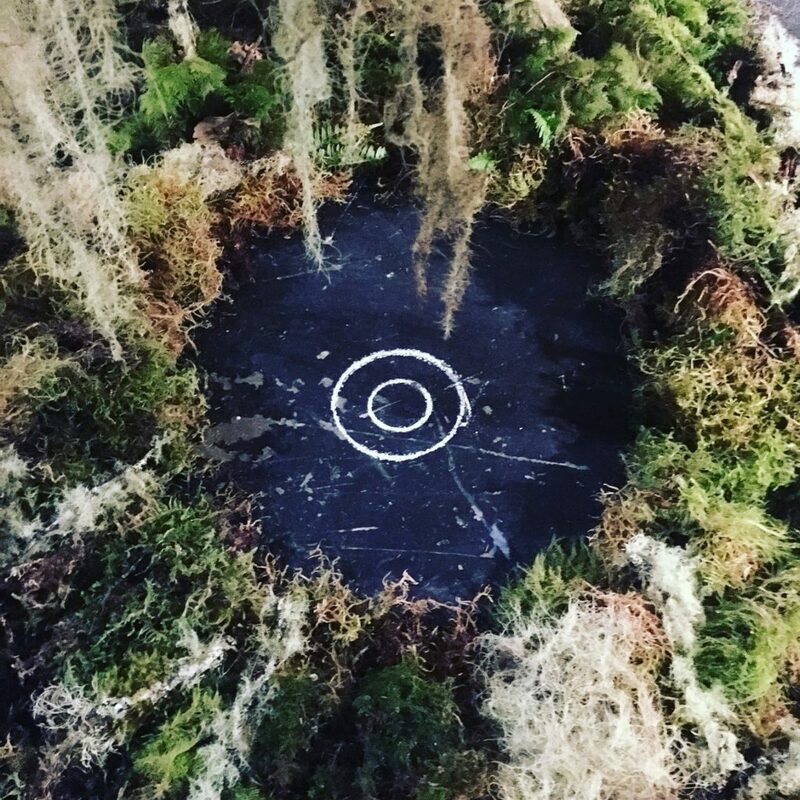 A narrative akin to Thomas Pynchon for Girls, Sphagnan explores bog rituals, Hedgewitch electronics, living outside, the craftsmanship of conductive ink making, Northwest history, adventure, and transformation. Solstice: We might discuss hedges or resistance.